This week’s Pick Of The Week has a new structure, and one that will continue to run throughout future podcasts! Since this is our 140th episode, we’ve decided to give you our Pick Of The Week comic at the start of the podcast, instead of at the end. It’s a nice change and we think it works well, but let us know what you think, as we record these podcasts for you! Simon, Sheldon and Rob are the brothers in arms this week, so listen in as they rifle through what the good reads were this week. 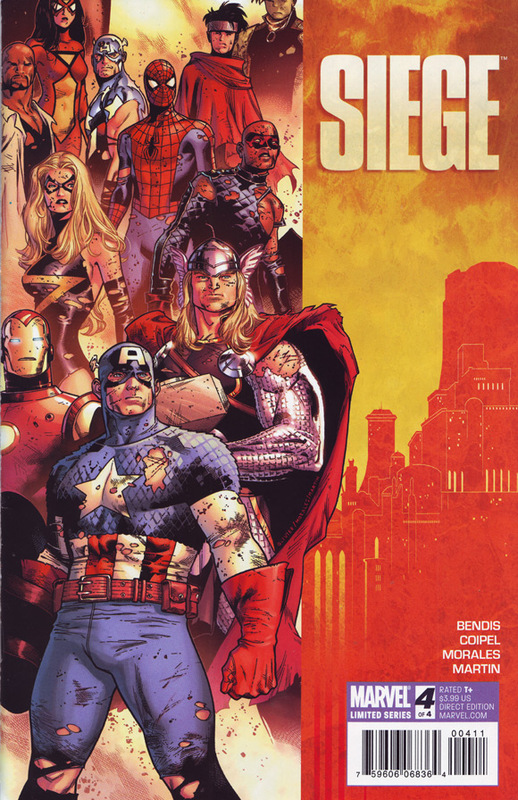 There is a lot of focus on the Siege titles this week, and a lot of good Marvel comics! Sheldon has the POW this week, since Dana had it last time. If you want to know what’s what with regards to the guys opinions on The Sentry, The Avengers, Grant Morrison and the X-Men, then listen in for a lot of discussions about these topics and a heck of a lot more! Sheldon’s POW is Siege #4 (of 4). Also discussed in this week’s episode is New Avengers Finale One Shot, Dark Avengers, The Sentry: Fallen, Batman: The Return of Bruce Wayne #1, New Mutants #13, Marvels Project and The Amazing Spider-Man #631.